Whilst Algeria remains mostly undeveloped as far as tourist attractions are concerned, there's still plenty to see and do. From the prehistoric rock art of Tassili n'Ajje to impressive palaces and botanical gardens in Algiers, there's sure to be something to cater for most tastes. For many tourists, simply soaking up the atmosphere of Algeria's ancient towns, attractions and desert region is enough to make them plan their next trip to this captivating country. 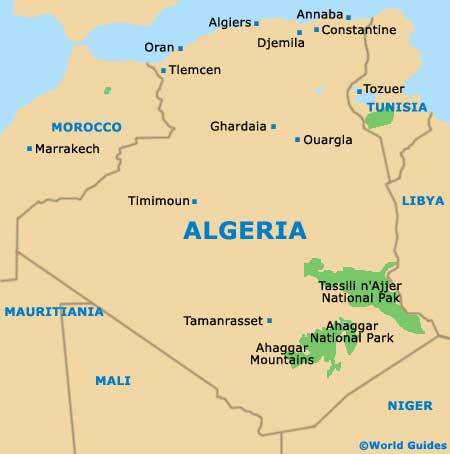 Many people choose to holiday in Algeria, taking advantage of the sunny weather, hot temperatures and beautiful Mediterranean coastline, which lies on the northern side of the country. Popular sandy beaches surround Algiers, as well as being based along the easterly Turquoise Coast, where the Sidi Ferruch peninsula resides. 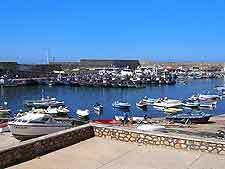 There are also a number of buzzing beach resorts to be found around the Oran region, such as Ain El Turk, Les Andalouses, Canastel, Mostaganem and also Sablettes. Lying next to the Gulf of Stora, the city of Skikda is also famed for its uncrowded Mediterreanean beachfront and coastal hotels. There are also some fine golden beaches to be found within the El Kala National Park. 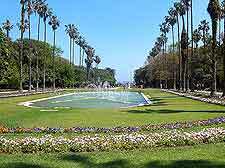 The Botanical Gardens in Algiers are known locally as the Jardin d'Essai du Hamma and have finally reopened after a lengthy period of restoration. Established in 1832, these gardens are said to be the oldest of their kind in Algeria and are one of the capital's top attractions. Divided into a French garden, English garden and zoo area, there's plenty to see and do, with thousands of plant and animal species. The gardens now also feature restaurants and an information centre for visitors. 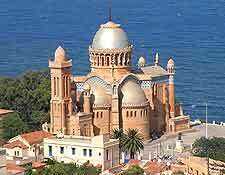 This impressive-looking Roman Catholic church sits overlooking the Bay of Algiers, where it is perched atop a cliff some 125 metres / 410 feet above the sea below. Built in the 19th century, its French architect employed much the same techniques and designs being used at that time in his home country. Most tourists visit Notre Dame d'Afrique during their stay in Algiers. A daily mass in French is also offered, although many visitors simply come here to marvel at the glorious architecture and views. Situated in the south-west of Algiers, this zoological garden is one of Algeria's top tourist attractions. Indeed, it is one of the oldest in Africa. 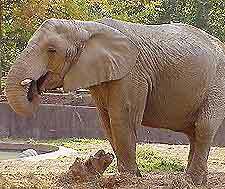 The Ben Aknoun Zoo is home to numerous species of animals, which range from crocodiles, monkeys and camels to African elephants and tigers. There are also hotels, restaurants and picnic areas for visitors to enjoy during their stay. 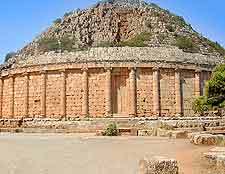 Algeria is home to several World Heritage Sites, including the fascinating town of Tipaza. Once a Roman military colony, Tipaza has some fascinating ruins. Nestled among trees and palms are the remains of the town's Great Basilica, its Roman baths and amphitheatre, and numerous mosaics. 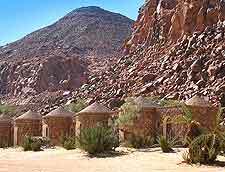 On the edge of the Sahara Desert can be found an impressive collection of prehistoric cave paintings, within the mountain range named the Tassili n'Ajjer (Plateau of the Rivers). More than 15,000 examples of artwork form a unique perspective on the people who once used to inhabit the Djanet region of Algeria. The area surrounding the rock art also has plenty of interesting geological features, including rock pillars that look like a 'forest of trees'.